Indeed, the chef’s modern Mexican touch shone through on the plating and presentation – as it does at Tijuana based Misión 19. And several courses highlighted the local farm, sea, and ranch ingredients one usually thinks of when they think of food in the Valle de Guadalupe — a la Finca Altozano. It was a very successful combination of the chef’s two culinary styles. But the real star of the night wasn’t the food, or the well-conceived Baja California wine and craft beer pairings. The real star was a tree. Specifically, the 100 year old live oak on the property of the Magoni vineyard, on whose land Finca Altozano is located. 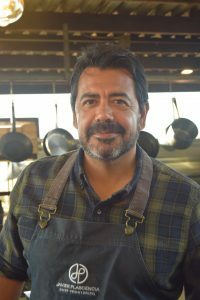 During a 2013 interview, chef Plascencia shared that his retirement plan was to “…drink a glass of red wine underneath an old oak tree somewhere in the Valle.” Having amicably split from his partners and the pressure of former San Diego Restaurant Bracero, Animalón must feel like a realization of that dream — although it’s a working retirement that’s fifteen years early (the chef turns 50 this year). 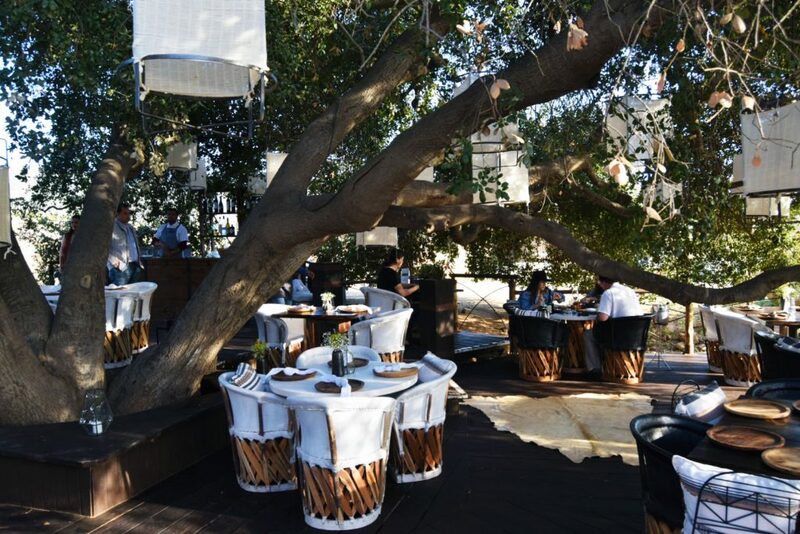 The large, singular oak lays a short walking distance from the restaurant’s bustling outdoor dining room. It’s a very peaceful retreat. The tree’s dense canopy provides the pop-up’s “ceiling”. Recently installed terraced wood planks support tables, chairs, and diners and protect the oak’s roots from foot traffic compression. Cabo-based interior designer Marianna Idirin added accents vis-a-vis animal rugs, flatware, lighting, classic equipale chairs, and other rustic accessories to set an intimate stage. The effect is a feeling of being in an enclosed, comfortable space, like a dining room, even though one is out in the middle of nowhere, as it were. At night, thoughtfully hung white lanterns drip above diners, softly illuminating the space and providing a romantic, dreamlike atmosphere. 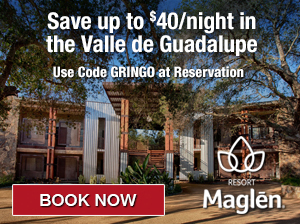 Step outside of the canopy and there’s nothing but wide-open Valle countryside blanketed by an impossibly starry sky. Sixty diners gathered for the opening night, as they will every Thursday and Friday from now through September 9th. 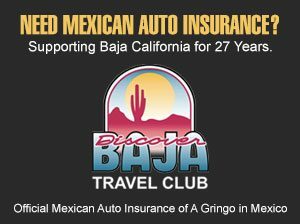 They enjoyed 8 + 2 courses along with optional Baja California wine and beer pairings (Author’s note: Recommended. Make sure you are with a designated driver. Eight courses equates to at least eight drinks and the dinner ends with a very nice, potentially potent mezcal). Plascencia has built a small campestre style kitchen adjacent to but outside of the oak’s canopy where he and a small kitchen staff prepare the evening’s meal. There are two seatings, one at 5:30 and one at 8:30. After greeting guests, Javier joined his staff in the kitchen and got busy preparing what would be a very memorable meal. There were two botañas(snacks) served before the courses commenced. The pair of heirloom tomatoes from Finca’s garden are served simply with a splash of Magoni pure virgin olive oil. Once you bite into the first tomoato, you’re instantly reminded that you’re in the Valle — where the produce is fresh, hyper-local, and bursting with flavor. I could easily become a vegetarian here. The Blanc de Blancs espuma from Hugo D’Acosta’s Casa de Piedra provided a refreshingly sharp counterpoint. The other snack, a crispy potato burrito topped with caviar in light sour cream, was presented atop a silver platter, a tongue in-cheek nod to the absurdity of a workingman’s course served atop such bourgeoistableware. It made me smile. The burrito was slightly crisped and the caviar added umami and worked very well with the mild taste and creamy texture of the potatoes. 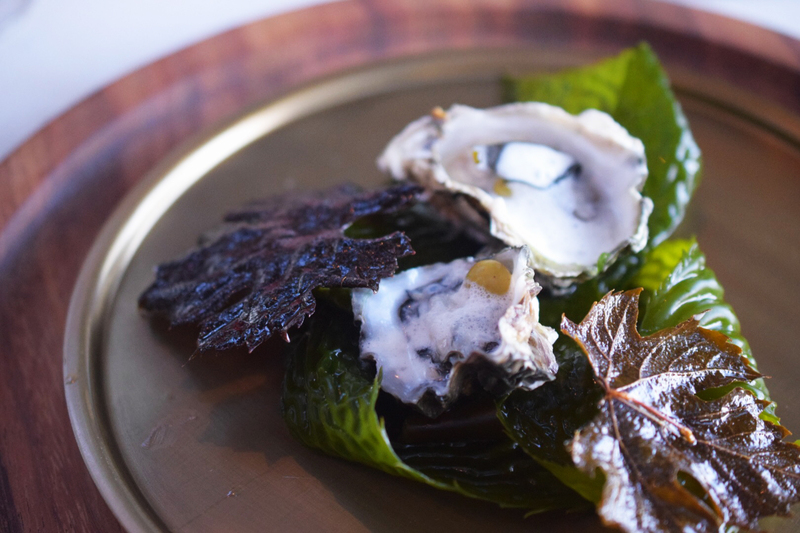 The first course, a fresh Baja Kumamoto oyster served with a fried grape leaves atop locally harvested Pacific kelp, was refreshing and surprising. The crunch of the leaves provided a nice accompaniment to the fleshy, mildly briny oysters. This was also one of the more artistic plates and will surely be an Instagram favorite. The oysters were the sole course paired with a Baja California craft beer, a Wendlandt sour. Kumamoto oysters with lightly fried grape leaves. A standout was the third course, De Popotla a Ensenada. Freshly caught and fried spider crab from Popotla – known as Marcianos by locals there – is combined with Pacific sea urchin atop a fresh, just-baked brioche from Finca’s onsite bakery. Paired with the always-pleasing new world Chardonnay from Lechuza, the dish is presented in a Japanese bento box in recognition of that country’s contribution to Baja California cuisine. Pork loin in olive mole with chicatanas. 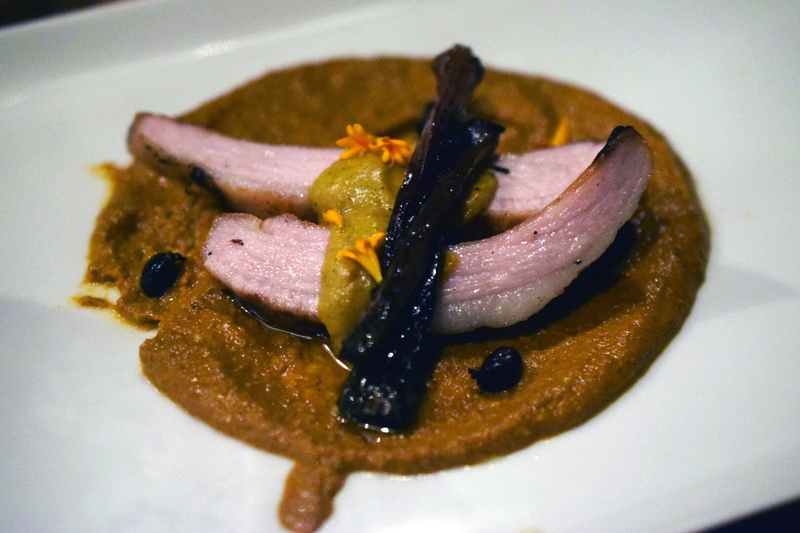 Course five, the cerdo de California en mole de aceituna (pork loin in olive mole), was one of two carne-based courses. Who doesn’t like carnitas? And this perfectly smoked and tender pork loin swam in a pool of luxuriant olive mole accented with nutty chicatanas (Oaxacan ant abdomens). The hearty dish paired very well with a 2016 Cabernet Sauvignon from winery Solar Fortún. The author was invited to the opening night at Animalón as a member of the press and received complimentary food and pairings, generously offered by chef Plascencia and Jaime Fritsch. No other compensation was received for the writing of this article and the author has happily spent his own peso at past events with the chef as well as at other Grupo Plascencia restaurants.